March 15 -- Two Farmington special ladies were honored earlier this month at special events in our area. 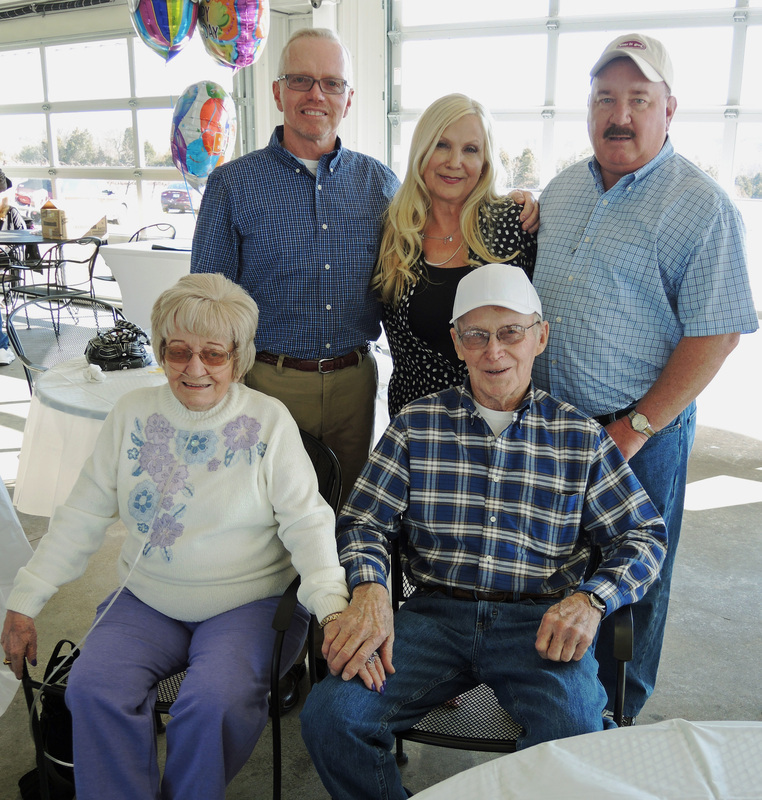 On Saturday, March 7, Mickie Payne celebrated her 80th birthday at a large birthday party attended by approximately 160 friends at the Twin Oaks Vineyard & Winery. Mickie has long been active in a wide variety of civic causes, both in Farmington and throughout the county. She says with pride that for 15 years she collected funds from 21 "loyal" businesses and private donors to provide Christmas gifts for needy children in our area. In recent years she spent much of her spare time as a member of the AMVETS Ladies Auxiliary where for 17 years she managed their bingo games which raised money for Sheltered Workshops and veterans nursing homes. However, when asked about these fund-raising activities, Mickie was quick to point out that all of the women with the AMVETS auxiliary spent many hours on these projects. "We worked as a team," she added. Other fundraising activities with AMVETS helped raise funds for area head start programs and for Christmas gifts for needy families in this area. "We also prepared many gift packages for members of the military who were serving overseas," she added. Mickie with her husband Louis. Behind them (from left) are her sons Frankie and Keith Hutson and wife Karen. Family and friends of Naomi Skinner met March 15 at St. Paul Lutheran Church to celebrate her 95th birthday. 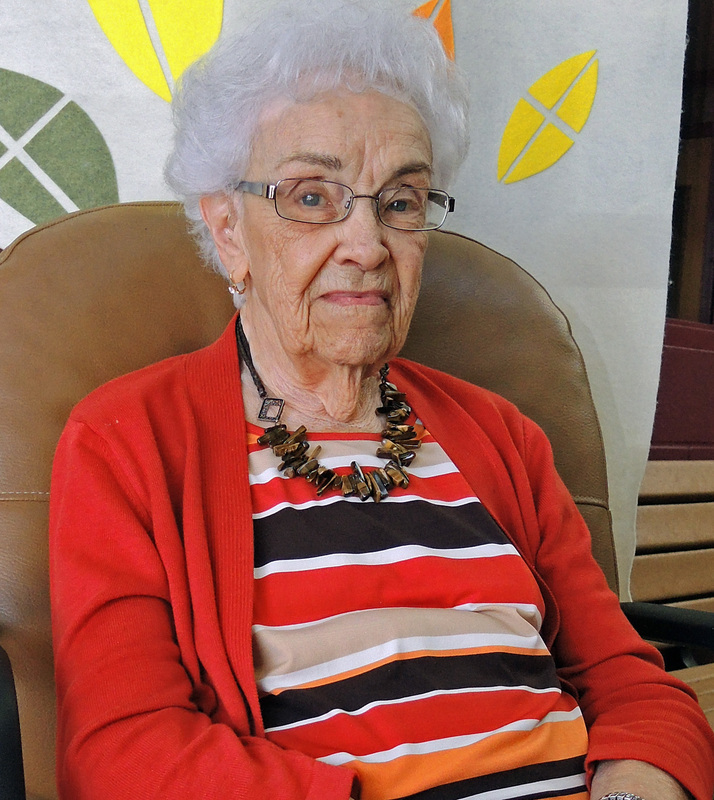 Naomi, a lifetime member of the church, has been active "at one time or another in just about every women's group at the church," one friend noted. Such projects included long-time chairmanship of the St. Paul's bereavement dinner committee which provides meals for church members following funeral services. She has also been a long-time member of the church's Ladies Aide, the quilting group, and the Women's Club. Several months ago she was honored at St. Paul's 10:30 church service for her "dedication and long-time service" to the Congregation. For many years Naomi also served as a greeter at Cozean Memorial Chapel. Naomi spent two full hours at her reception visiting with numerous friends. Some of the many refreshments enjoyed by those in attendance. A partial view of the crowd at Naomi's birthday party. Pamela Ross enjoys a visit with Naomi.